Research released today as part of the SPLENDA® ‘Small Steps’ campaign, has revealed that over a quarter of women would be as happy fitting into old jeans as they would winning millions on the lottery. The research also went on to show that more women (29%) would be happier slipping on those old jeans than spending a night of romance with their partner (19%). More women than ever are making healthy resolutions (94%) in the hope of fitting into old jeans, however over half of women break healthy resolutions at least once a week. What’s more, women are also deceiving their friends and family with over a third admitting to telling little white lies about their diet and fitness habits. The most popular fib told by nearly half (49%) of women being that they haven’t eaten anything between meals when in fact they’ve munched on a chocolate bar. As well as being in second place to fitting into jeans in the happiness stakes, husbands and partners are also the ones that women are most likely to lie to. More women would lie to their partner (35%) than their friends (29%) about their diet and fitness habits with the most common reason being that they are embarrassed (54%) followed by feelings of insecurity (20%). We all know that keeping healthy resolutions is tough, but the research revealed that a fifth (22%) of women would find it easier to achieve goals by making them more manageable and breaking them down into small steps. And with 80% of women citing a lack of willpower as the reason for breaking healthy resolutions, it seems the women of the UK need help. This spring, SPLENDA® is launching the ‘Small Steps’ campaign and with the help of an expert panel, will be giving women tips on how to keep going on those tricky resolutions. 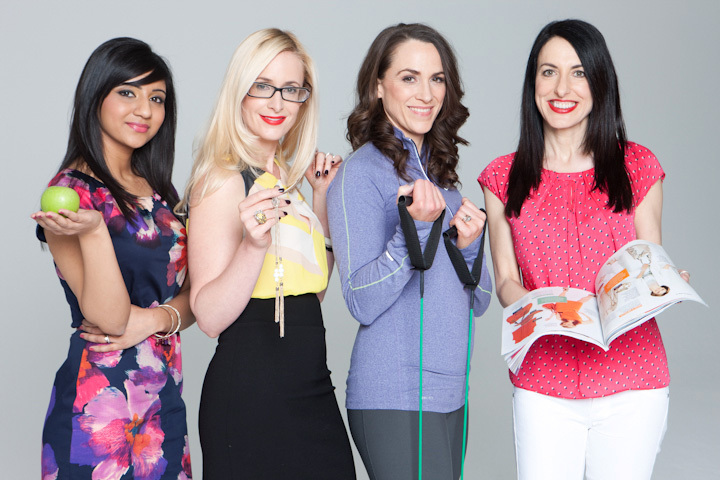 Style guru Nicky Hambleton-Jones, celebrity fitness expert Jane Wake, life coach Liz Wilde and SPLENDA® nutritionist Kiran Goraya will be working together to help women take a series of small steps that can add up to make a big difference. Another small step that women can take this year is to make the switch from sugar to SPLENDA® – the sugar alternative with a great sugar like taste but a fraction of the calories, thanks to its original ingredient, sucralose. Available in both a Sweet Minis and Granulated format, SPLENDA® is great for use in hot drinks, but also for baking sweet desserts, but without all of the calories of sugar. To learn more about SPLENDA® and its ‘Small Steps’ campaign or for the chance to win a personal style consultation with Nicky, a healthy eating plan with Kiran, or a personal fitness program with Jane, please visit www.facebook.com/splendaUK or www.splenda.co.uk. This press release was distributed by ResponseSource Press Release Wire on behalf of Hill & Knowlton (UK) in the following categories: Health, Women's Interest & Beauty, Food & Drink, for more information visit https://pressreleasewire.responsesource.com/about.